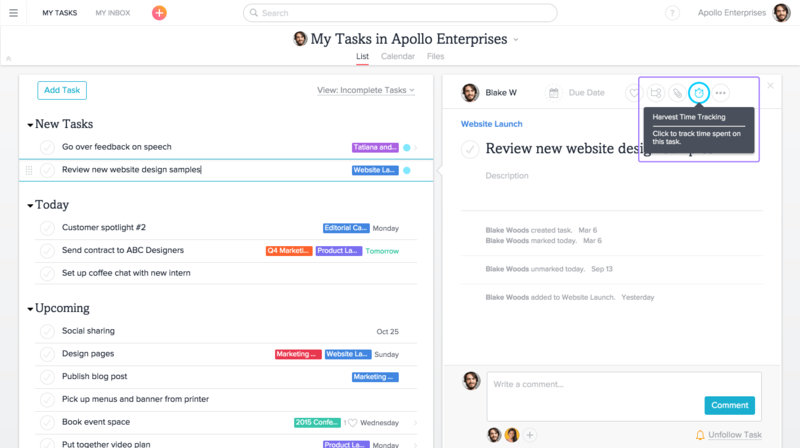 If you use Harvest, you can now use it in Asana to track time spent on your tasks. If you do not wish to use Harvest, you may want to consider other time tracking options. Watch our time tracking episode of How to Asana to learn more about other integrations. You will see a stopwatch icon in the right paneright pane The right pane holds the details of a task or Conversation. Read more of each task. Click the stopwatch to start tracking your time for that task via Harvest. If you’re not already logged into Harvest, clicking on the Harvest icon (stopwatch) in the right paneright pane The right pane holds the details of a task or Conversation. Read more will prompt you to log in. You can then choose which Harvest project and task to associate with the Asana task. If you’ve previously used Harvest on the task, the default is what you had previously used. Any Team Member will have the option to enable Harvest for a whole TeamTeam A team is a group of people in an Organization who are working together on a collection of projects. Read more . Everyone will see a stopwatch icon in the right paneright pane The right pane holds the details of a task or Conversation. Read more of each task and can click the icon to start tracking time spent on that task. If you’re not already logged into Harvest, clicking on the Harvest icon (stopwatch) in the right paneright pane The right pane holds the details of a task or Conversation. Read more will prompt you to log in. 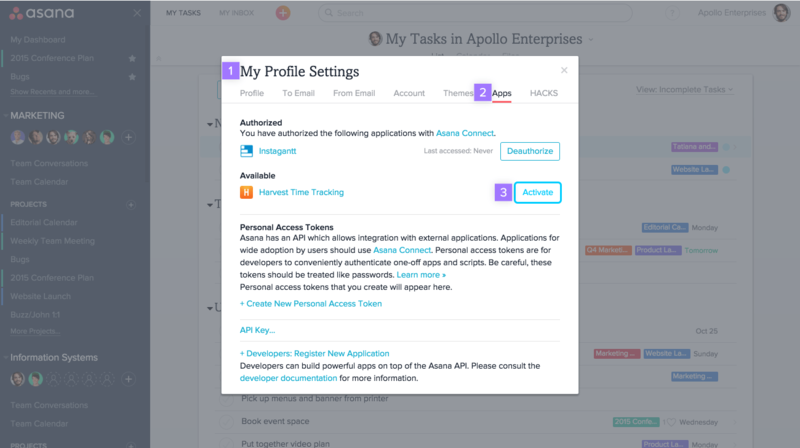 You can then choose which Harvest project and task to associate with the Asana task. If you’ve previously used Harvest on the task, the Harvest project (but not the task) will be remembered.